The palette is such a pretty, cute palette! It is great for travelling as it so small and easy to carry round - even handbag size so I can take it everywhere. 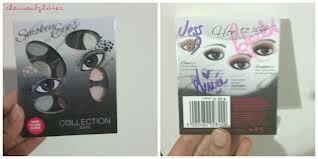 The back of the palette does actually tell you how to apply the shadows but mine has signatures over it - oops. 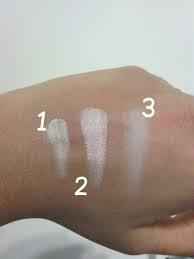 The swatches from the palette below are taken in columns the medium, dark and then light with the cream. 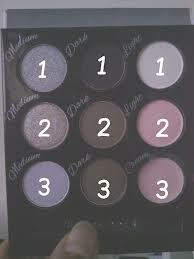 First of all, the medium shades are all very pigmented and have a nice shimmery base to them. The first is a silver shimmer shadow which looks amazing on the eye as a base on its own; the second is a gold shimmer shadow which is also great as a base for the eye as well as the third which is more of a whiter colour. The second column of shadows are much darker, the first is the darkest of them all as it is a jet black colour that gets applied in the corners and the edges. The second a brown matte colour which I LOVE on it's own all over the lid and on the outer corner. Finally the final one is a golder brown compared to the one above which is really pigmented. 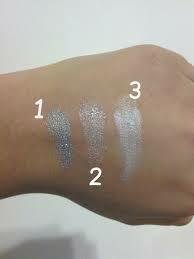 These three final, lighter shades are the nicest they are creamier and great for highlighting. 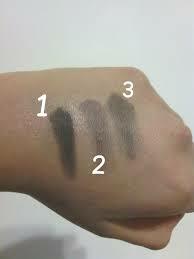 The first one is a white shadow that is my favourite to highlight the upper part of your brow bone! And finally the cream shade, which is specifically designed to highlight the inner corner of your eye to give your smokey eye a nice finish! I recommend buying this palette if you are wanting to do a smokey eye look on a budget, it definitely delivers amazing result for the price you pay. I am going to be having so much fun with this palette in the future and can't wait to try it out!! 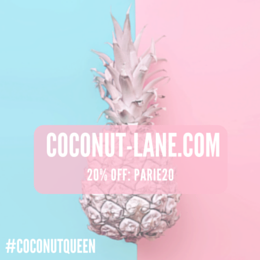 p.s it so cheap! !